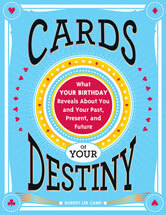 Look into the secrets revealed by your birthday and your Birth Card and Planetary Ruling Card. Look into your past, present and future. Know what is coming before it happens and see what influences are at work in your life NOW. Discover many important things about yourself to help you understand your place in this world. Come into a greater sense of self-acceptance from this knowledge. Also, relieve much of your life stress that arises from inner conflict. Understand your life’s path and purpose. Understand the cycles of your life, past, present and future. Understand your Karma in every important area of your life, both positive and negative. Gain secret knowledge about everyone you meet that can really make a difference. Learn how to predict your future and that of others with astounding accuracy. Become a professional reader who can support him or herself more than adequately. 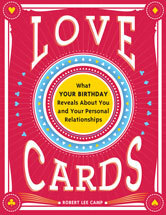 A free introduction to you and your Birth Card as seen through your birthday and this system. Access to your card influences, now and in the future. Level by level education and training for those who feel interested to k now more. Access to all that this science provides and the facility to share it with others through our premium membership software. A community to connect with others who have an interest in this mystical science. The ability to create and sell reports using our software. Affiliate commissions for sharing this site and it’s resources with others. Complete professional training for those who desire to make this part of their life’s work. Products and Services to enhance your education, knowledge and experience in using the Science of the Cards. Personal feedback for work done.